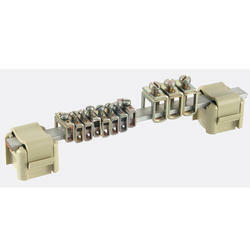 Owing to the affluent knowledge, we are capable to provide Earthing Busbar Assembly. Moreover, the presented series of products is properly checked on varied industry standards to make sure the longer life. Main bus bars can be positioned at the top, bottom or rear of the panel. Panels can be arranged as 'U-Shape', 'T-Shape' & 'L-Shape' etc. Owing to our huge market knowledge, we have been able to serve our valued clients with a wide range of Bus Bar Assembly. - Head lamp is used to illuminate the road at night. Head lamp consists of head lamp bulb and housing. We have large production facilities for Bus Bar Assembly Extruded and Drawn Flats in various production range of sizes and shapes Bars Tinned bus bars for Electrical Engineering (Transformers, Switch gears, Panels, Earthing, Electrification - Lines). 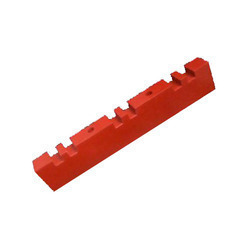 We are the leading manufacturers of Equalizer Bar Assembly. Our products are manufactured as per customers requirements and we are supplying to Steel Plant, Power Plant Industries and in many Small Scale and Large Scale Industries. A bus bar assembly is constructed by arranging a plurality of flat, elongated conductors in stacked alignment, with insulating washers, or the like, acting as spacers therebetween. An insulative, hardenable encapsulant is then poured over the conductors and, not only encapsulates them, but also fills the spacers between them. Droppers and risers can sit in the side or rear of the compartments. These Bus Assembly are made by using very heavy and durable quality raw material which ensures high durability and hassle free work performance at its user end. Head lamp is used to illuminate the road at night. Head lamp consists of head lamp bulb and housing.